The energy booster for the entire family in good health, sickness and while recovering from ill health. Sudhakalpa (Calcium carbonate), Sudhakalpa (Calcium dibasic phosphate), Shankajiraka (Magnesium oxide), Aswagandha (Withania somnifera). 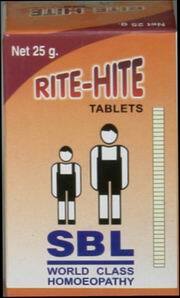 Albo–Sang is a nutritious supplement for infants, growing children, adults and the elderly. Acts as an alternative brain tonic and stimulant. It is useful in Mania, Epilepsy, Mental weakness, Nervous strain and improves Grasping power. Asvagandha, Ajmoda, Sainda lavana, Shankpushpi, Kusta, Sunthi, Patha, Svet jiraka, Krsna jiraka, Marica, Pippali, Vaca, Brahmi. Memodin Tablet, is an excellent brain tonic and an effective remedy for stress related disorders like anxiety, lack of concentration, hyperactivity and poor memory in children. Poor memory, lack of concentration, mental stress, fatigue, insomnia, epilepsy. Vach, Ashwagandha, Shankpushpi, Brahmi, Ghrit Kumari. Adult: 1-2 Tablets twice daily with milk/water. Relieves mental tension, strengthens brain power, good for heart, relieves constipation, fights dandruff, keeps body warm in winter, nourishes skin, good for infants. 5-10 ml to be taken with 250 ml of milk at night. Apply externally on head and instill 2-3 drops in the nose and ears.